And while mainstay platforms like Facebook and Twitter continue to shape and influence the masses, younger platforms such as Snapchat are also making waves. From building audiences through live stories to encouraging event buy-in with promotional offers, in today’s post, we’re going to be taking a closer look at Snapchat and the number of ways in which it can benefit your business. Whether you’re a new business hosting an exciting launch event or a well-established brand looking to expand your audience, it’s important to tell your brand story. This can help to showcase who you are and build meaningful relationships with consumers – and Snapchat stories offer the ideal platform. With approximately 186 million active daily users globally, Snapchat gives you the tools to break down the barriers between your brand and your customers by giving them a unique insight into the day-to-day life of your brand. Creating a visual narrative using images, videos or both, a Snapchat story has the potential to bring your brand into their lives in an engaging and innovative way – keeping you in touch with your audience wherever they are. Customer feedback plays a pivotal role in any successful business and with social media being tipped as the future of customer service, now could be the time to explore a social-focussed customer service strategy using Snapchat. Snapchat provides a unique way for users to ask questions and provide feedback, as well as the capability for businesses to answer personal queries. For event planners, this can be incredibly useful, as real-time feedback and questions can be answered right away and action can be taken to help improve consumers’ experience almost immediately. It also goes a long way in demonstrating that you value all customer feedback – bolstering brand perception, while also providing valuable insights for continued improvement. Regardless of your industry, nothing drums up interest with customers like a time-sensitive message – and Snapchat’s limited time functionality is perfect for creating a sense of urgency for one-off promotions, flash sales and exclusive offers, particularly with events. From limited discounts on ticket prices to exclusive on-the-day promotional codes, content with an expiration date and an exclusive message is sure to prompt followers to act and stay loyal to ensure they don’t miss out on any incredible deals in the future. For a lot of customers, having behind-the-scenes access and knowledge of a brand is a big selling point and helps to personalize and humanize their interaction with your brand. By making use of Snapchat to generate exclusive footage, you can tap into the natural curiosity of your followers – blurring the boundaries between business and consumer. From sharing exclusive footage of event setups and how you use retail tactics like dump bins and point of sale displays to industry insights and a day-in-the-life of an employee, this unique and subtle way of advertising your brand will go a long way with your audience. 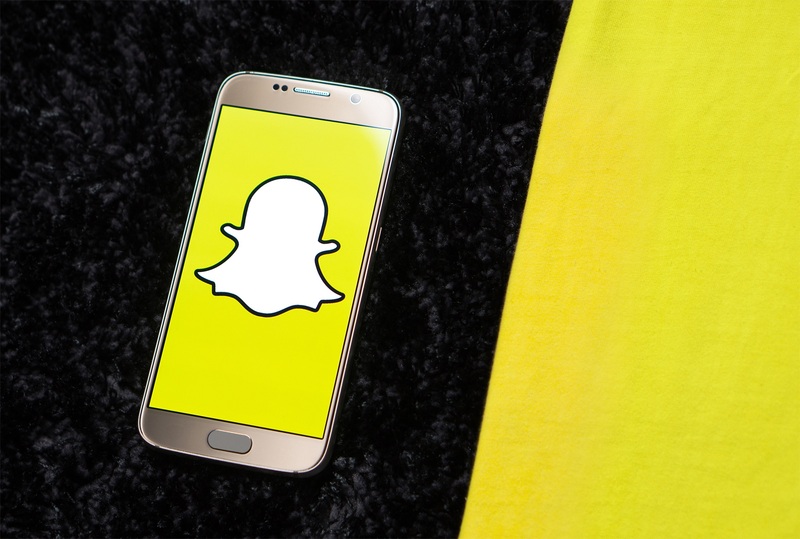 As with many facets of business, teaming up with other brands or industry influencers for cross-promotional purposes can deliver numerous benefits – and Snapchat is no different. Aligning yourself with influencers within your industry with a strong Snapchat following will provide your brand with credibility – particularly for new brands competing in a competitive market. Secondly, these influencers can open the door to a much wider audience, sharing content and directing people towards your brand through association. Therefore, harnessing the value of cross-promotion could help to grow your business’s reach in more ways one. As a visual social media platform that allows you to share both photos and videos of your products with the world, Snapchat allows you to merge your offline marketing strategy with the online universe. Through online techniques, your physical products can be shared to a larger target audience through strategies such as videoing the product unboxing process and altering your Snap Map location setting to allow anyone in your immediate area to check it out. Additionally, organic Snapchat promotion comes at no extra cost! So, whether you’re a food retailer choosing to invest your brand awareness efforts in striking food packaging, or you’re a service provider using experiential marketing events to promote your business, by sharing them on Snapchat not only are you able to reach more potential customers, but it won’t cost you a penny in the process! With users continuing to rise and ongoing app development, the benefits of incorporating Snapchat into your business marketing strategy could make a significant contribution to the success of your business – be it an event or single product promotion. Elizabeth Raw works for R+R Packaging providers of biodegradable and eco-friendly packaging materials for businesses within a wide variety of industries.